BEE REMOVAL SERVICE IN THE LAS VEGAS AREA. A friendly specialist will inspect your home followed by an indoor and outdoor treatment. 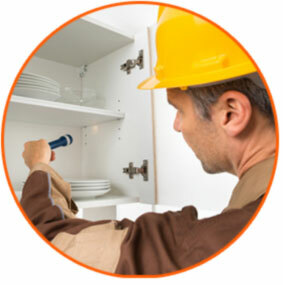 Ace Pest Control services will keep your home & business pest free, year round, guaranteed. Ace Pest Control is a Las Vegas based pest control company offering bee removal services. We service the Las Vegas Valley and surrounding areas like Summerlin, Henderson, North Las Vegas, and beyond. Having a bee infestation or bee hive located on your property increases the odds of you or your family members getting stung. It is difficult and often dangerous to remove bees hives on your own. Bee stings can be irritating, leave rashes, cause choking, dry cough, sneezing and rapid pulse in anyone. Someone who is severely allergic to bee venom may have more severe symptoms such as vomiting, shock, cramps, diarrhea or lose consciousness and should seek immediate professional medical attention. When faced with a bee infestation, don’t put your loved ones at risk. Call the Las Vegas bee removal experts at Ace Pest Control. If you discover a bee hive or swarm of bees, you should be very cautious and avoid them completely. Be sure to also keep away any children or pets from the area and call us immediately to take care of the removal of the bees. If the bees begin to attack you because you have come close to them, you should quickly find shelter from the swarm inside a car or closed building. Do not to jump into the pool because the bees are likely to wait for you to resurface and attack. We will send an emergency technician if the bee swarm is located in an area with high traffic or if it is located near a home. Always remain safe and cautious around bee infestation, and always rely on the aid of an expert bee removal company like Ace Pest Control. Beehives are best left to the experts to remove. You do not want to disturb a beehive without using special equipment and proper techniques for bee removal. 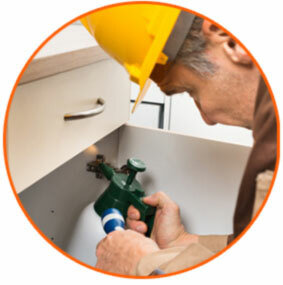 When called upon for service, our experts will come to your home and efficiently remove all parts of the beehive, making the area safe again. It is possible to find beehives in a variety of places including inside homes, out buildings, and attics. If you suspect a bee infestation in or around your property, do not try to be a hero. 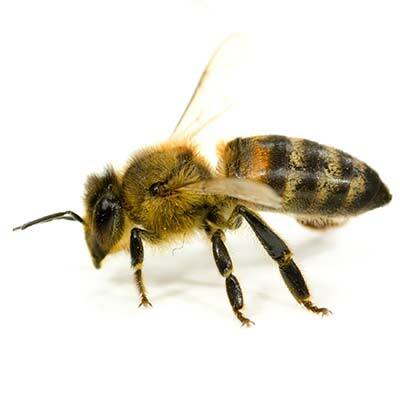 Call on the trained and well equipped bee removal experts at Ace Pest Control for help. Unlike other insects, bees are often dangerous and can easily be aggravated when trying to remove them from the area. Between summer and late fall is the peak seasons for bees in Las Vegas. If you find that there is an abnormal amount of bees or wasps around your area, there may be a hidden hive nearby. When dealing with bees and wasps, it is best to call an expert to exterminate the bees as soon as possible. If you require bee removal services, have any questions about any of our services, or would like to request a free no obligation quote, please feel free to contact Ace Pest Control in Las Vegas.